Massie, Robert K. Castles Of Steel: Britain, Germany, And The Winning Of The Great War At Sea - Paperback. From Hitler to The Coming Of the Third Reich, from	Bismarck and The German Empire to Kuk Familienalbum Die Welt Von Gestern In 319 Alten Photographien, we can help you find the germany books you are looking for. As the world's largest independent marketplace for new, used and rare books, you always get the best in service and value when you buy from Biblio.com, and all of your purchases are backed by our return guarantee. There is no story in twentieth-century history more important to understand than Hitler’s rise to power and the collapse of civilization in Nazi Germany. With The Coming of the Third Reich , Richard Evans, one of the world’s most distinguished historians, has written the definitive account for our time. 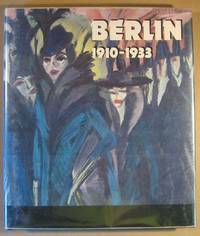 A masterful synthesis of a vast body of scholarly work integrated with important new research and interpretations, Evans’s history restores drama and contingency to the rise to power of Hitler and the Nazis, even as it shows how ready Germany was by the early 1930s for such a takeover to occur. The Coming of the Third Reich is a masterwork of the historian’s art and the book by which all others on the subject will be judged. 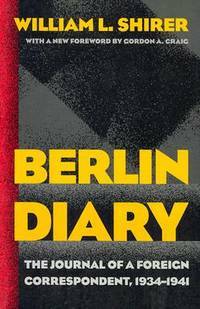 Berlin Diary (1934-1941) is a first-hand account of the rise of the Third Reich and its road to war, as witnessed by the American journalist William L. Shirer. Shirer, a radio reporter for CBS, covered Germany for several years until the Nazi press censors made it impossible for him to report objectively to his listeners in the United States; feeling increasingly uncomfortable, he left the country. Acclaimed for his vivid re-creations of some of the twentieth century's most significant battles, Antony Beevor is one of the best known and respected military historians writing today. He now offers readers a gripping, street-level portrait of the harrowing days of January 1945 in Berlin when the vengeful Red Army and beleaguered Nazi forces clashed for a final time. The result was the most gruesome display of brutality in the war, with tanks crushing refugee columns, mass rapes, pillage, and destruction. Hundreds of thousands of German civilians froze to death or were massacred because Nazi officials had forbidden their evacuation. 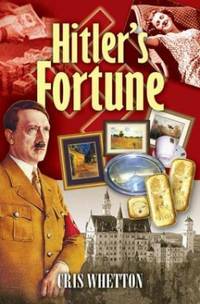 Hitler, half crazed in his bunker, issued wild orders while Stalin was prepared to risk any number of his men to seize the city before the other Allies could get there. Making full use of newly disclosed material from former Soviet files as well as from German, American, British, French, and Swedish archives, Beevor has reconstructed the different experiences of those millions caught up in the death throes of the Third Reich. The Fall of Berlin 1945 depicts not only the brutality and desperation of a city under siege but also rare moments of extreme humanity and heroism. This account also contains new revelations about the motives behind Stalin's hurried assault. Sure to appeal to all readers interested in military history and the Second World War, The Fall of Berlin 1945 promises to be the definitive treatment of the subject for years to come. Includes bibliographical references (v. 1, p. -426) and index. The Franco-Prussian War of 1870CfI1871 violently changed the course of European History. Alarmed by Bismarck's territorial ambitions and the Prussian army's crushing defeats of Denmark in 1864 and Austria in 1866, French Emperor Napoleon III vowed to bring Prussia to heel. Digging into many European and American archives for the first time, Geoffrey Wawro's The Franco-Prussian War describes the war that followed in thrilling detail. While the armies mobilized in July 1870, the conflict appeared 'too close to call'. Prussia and its German allies overwhelmingly outnumbered the French. But Marshal Achille Bazaine's grognards ('old grumblers') were the stuff of legend, the most resourceful, battle-hardened, sharp-shooting troops in Europe. From the political intrigues that began and ended the war to the bloody battles at Gravelotte and Sedan and the last murderous fights on the Loire and in Paris, this is a stunning, authoritative history of the Franco-Prussian War. 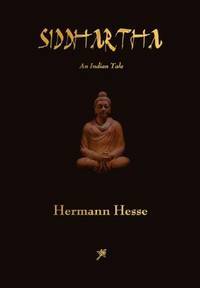 "A summary of [the author's] three volume Bismarck, published in German."